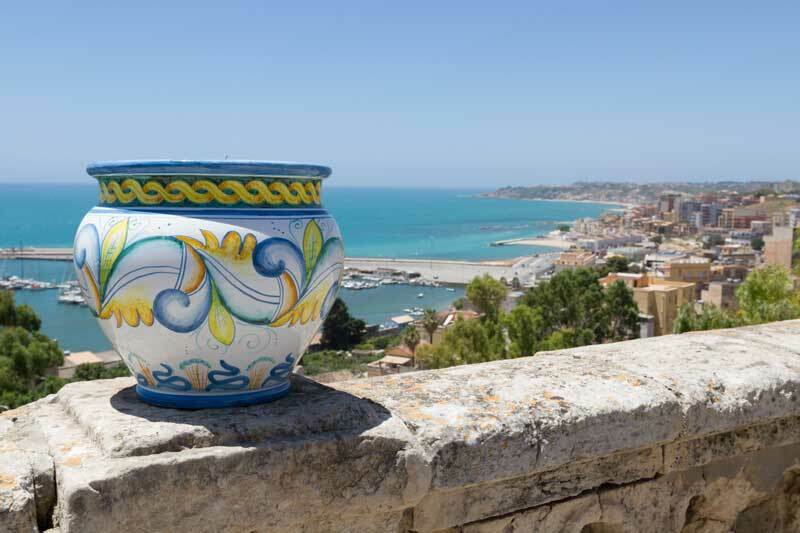 Sciacca looks out over the sea towards Africa, between the Belice and Platani river mouths and half way between the archaeological sites of Agrigento and Selinunte. It is an amphitheatre open to the sea, overlooked by Mount Kronos, from which springs its famous thermal waters spring. Legend says that Daedalus, fleeing from King Minos of Crete, discovered the beneficial properties of these thermal waters springs one thousand years BC; history instead, says that these were the thermal baths of the Greek city of Selinuntineus. In fact, the site falls within this city’s zone of influence and it underwent the same historical events of this powerful Greek colony taking in refugees following its defeat by the Carthaginian victory army in 409 BC. The Romans were great lovers of hot water baths and called the place Aquae Labodes while the name Sciacca was given by the Arabs who arrived here in 840 AD. Throughout the middle ages and up to the 17th c., city life was fairly hectic both in good and bad ways. Good were the riches deriving from agriculture, fishing and handicrafts - among which the still flourishing pottery production - as well as its many fine churches and mansions, most of which survive to this day; bad was the feuding between two powerful families - one of Norman, the other of Aragones origin - who from the 14th to the 16th century were in continual dispute causing a permanent state of civil war, so much so that the Sicilian proverbial expression “cause a Sciacca case” has remained to this day meaning to stir up a ferocious and unsolvable dispute. 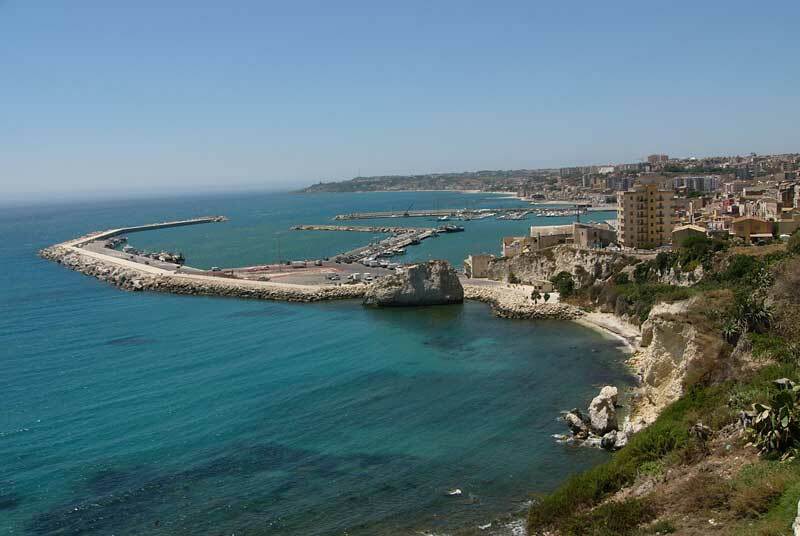 Today, Sciacca has a historical seafront and a lovely Belvedere over the large fishing harbour below. Its districts, surrounded by walls and gateways with additions dating from the 14th to the 18th c., are rich in churches and mansions and the streets and alleyways are dotted with little gems like the elegant doorways, pot-bellied balcony railings, mullioned windows and colourful tiles decorating even less titled abodes. Old and new pottery shops will certainly draw your attention when out shopping. Numerous small restaurants offer a sea-food menu (those in the harbour area are particularly recommended) and some also offer refined local dishes with a new twist. Sea bathing off long golden beaches or more secluded, sandy bays can be enjoyed nearby and if you want to try out the virtues of the sulphurous waters appreciated by the Greeks and Romans there are several possibilities, among which a recently restored 19th-c. establishment and a Mediterranean art nouveau-styled bathing establishment.